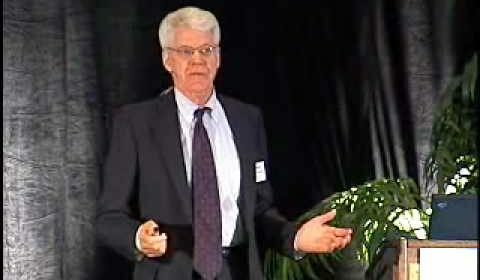 Caldwell Esselstyn, MD of the famed Cleveland Clinic gives a FULL 62 minute talk from the 2003 VegSource Healthy Lifestyle Expo. Dr. Esselstyn’s ongoing 21-year study shows that you CAN reverse heart disease and save your life. Of 20 patients sent home to die by their cardiologists in 1989, every one is still alive and healthy today, and heart-disease free, even though together they had had a total of 63 cardiac events before entering his study.